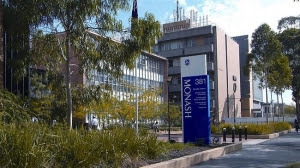 Monash University, Malaysia is offering numerous scholarships to International students who wants to undergo a bachelors degree program in the institution. All Undergraduate courses are available for this scholarship program except Bachelor of Medicine and Bachelor of Surgery (MBBS), Bachelor of Psychological Science and Bachelor of Pharmacy. This scholarship program is worth RM5,000 per semester and it is provided to students with academic excellence. - Applicants must have applied or applying to Monash University. - Applicants must have an outstanding Australian Tertiary Admissions Rank (ATAR) or equivalent. - Applicants must have completed an Australian Year 12 qualification or an international senior secondary qualification accepted by the University. 4th August 2017 for October intake.